From the time I arrived, everyone was very friendly, welcoming, and polite. The care and service was excellent; I highlyrecommend. From the time I arrived, everyone was very friendly, welcoming, and polite. The care and service was excellent; I highly recommend. Awesome place to go. The staff is amazing doctor is nice and very knowledgeable. Nurses are patient and understanding andlisten to all you have to say. Awesome place to go. The staff is amazing doctor is nice and very knowledgeable. Nurses are patient and understanding and listen to all you have to say. 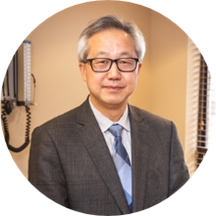 Dr. Jun Yang is a skilled and experienced allergist caring for the Tinton Falls, NJ community. Dr. Yang earned his medical degree from Shanghai Medical University in China. He then moved to the United States, where he completed his internship in pediatrics at Miami Children’s Hospital. He then completed a residency in pediatrics at Western Reserve Care System, Tod Children’s Hospital, Ohio. He continued his training and completed a fellowship in allergy and immunology at the University of Tennessee. He also holds a master's degree from the University of Miami. Dr. Yang is a part of Two River Allergy & Asthma Group and is affiliated with Jersey Shore University Medical Center in Neptune, NJ, and Riverview Medical Center in Red Bank, NJ. He is board certified by the American Board of Allergy and Immunology. He is a member of the American Academy of Allergy, Asthma and Immunology and the American College of Allergy, Asthma and Immunology. Patients see him for a variety of reasons, including allergy shots, rash, sinus problems, spirometry, and pediatric allergy consultations. Dr. Yang speaks English, Spanish, Portuguese, and Chinese (Mandarin). His awareness of these different languages makes him accessible to patients from a variety of cultural backgrounds. Dr. Yang is uncompromising in his dedication to the well-being of his patients. He is committed to giving the best care and establishing long-lasting relationships with them. He gives each patient his focused attention, and he prides himself on delivering the best treatment available. Staff is awesome, no wait time, really liked Dr Yang too! Dr. Yang is always thorough, attentive and patiently answers all my allergy questions and concerns.